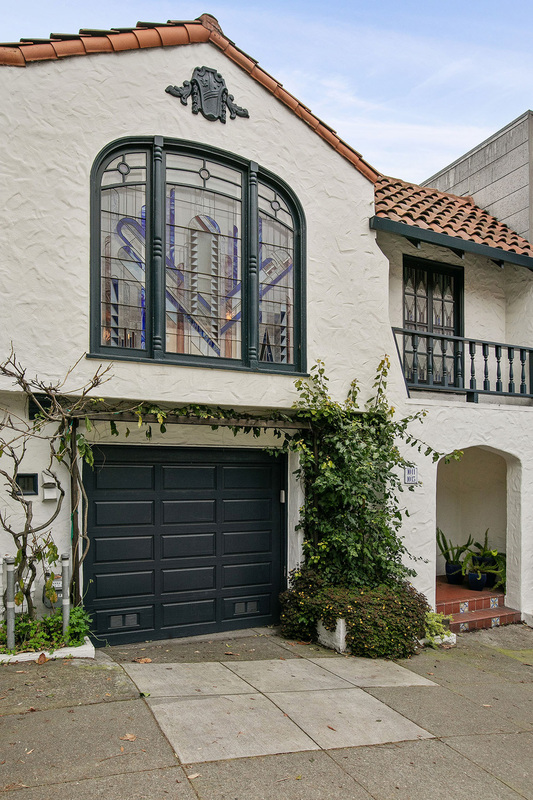 Designed for livability and elevated to the extraordinary, this 1930s Spanish Revival condominium in tony Ashbury Heights is dressed in enchanting custom craftsmanship, refined period touches, and timeless finishes, crowned by an expansive private top-of-the-world retreat with a view of San Francisco’s iconic landmarks that’s nothing short of captivating. 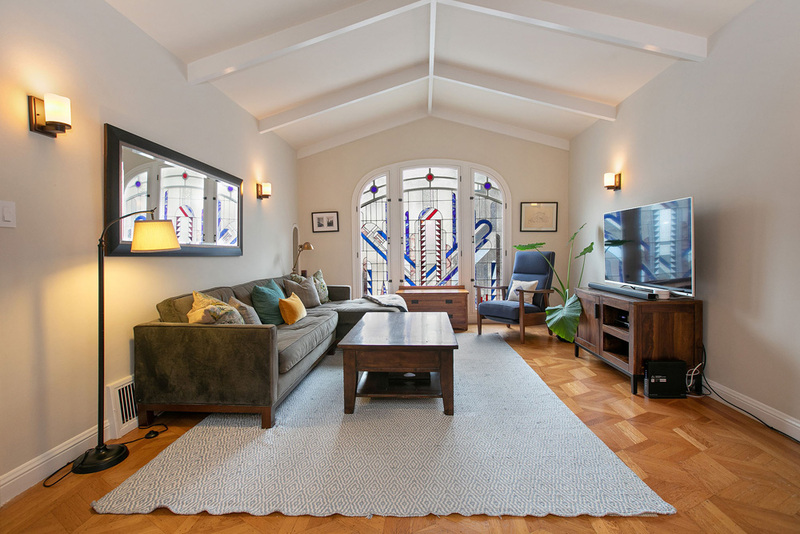 Beneath an elegantly understated vaulted ceiling, light filters into the living room through a dramatic leaded glass window, highlighting the room’s deco hardwood oak parquet floor. 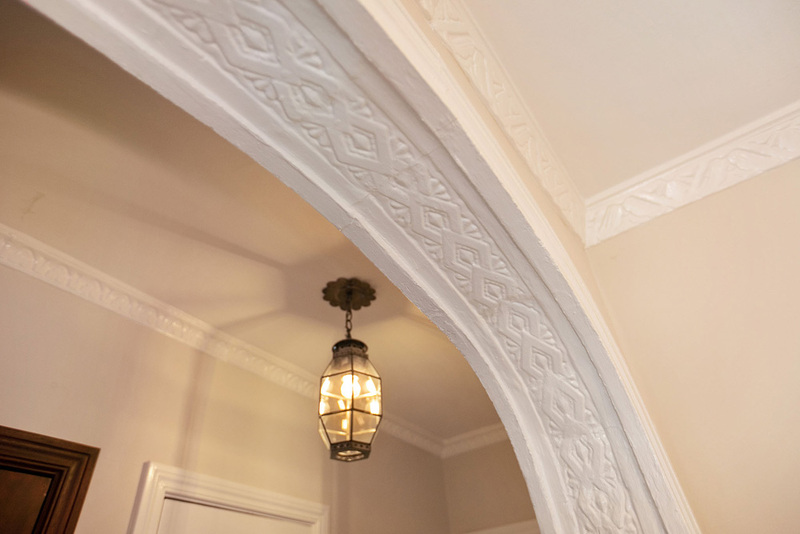 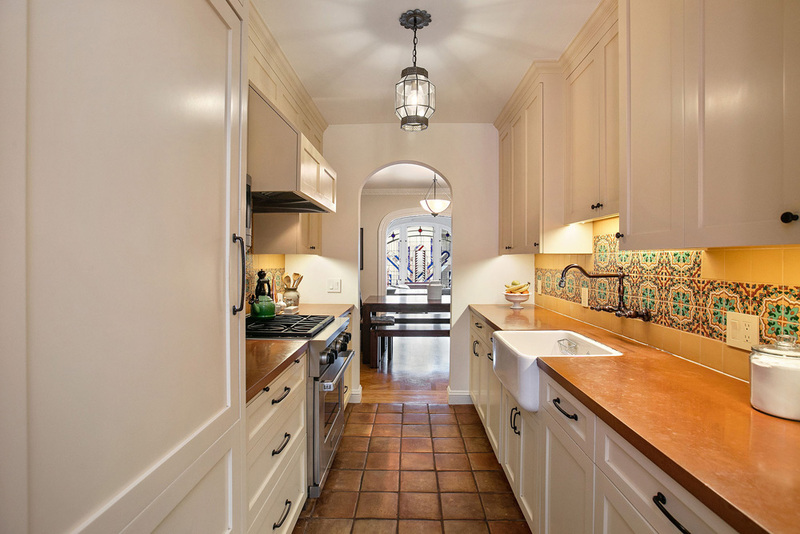 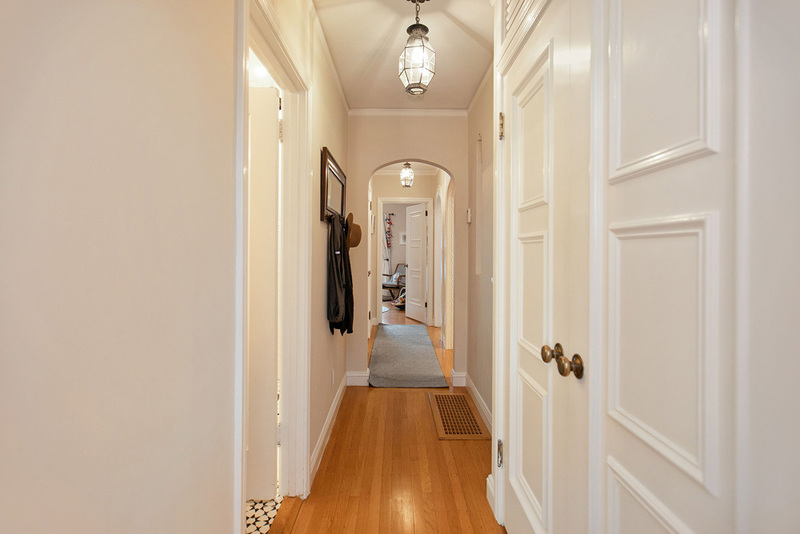 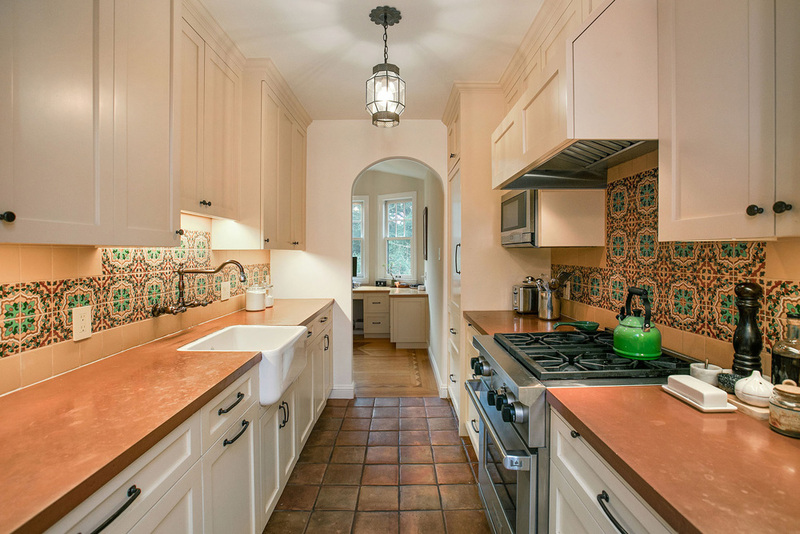 A series of arched passages leads through the formal dining room to the kitchen, showcasing handcrafted Santa Barbara tiles above custom cabinetry by Mayta Jensen. 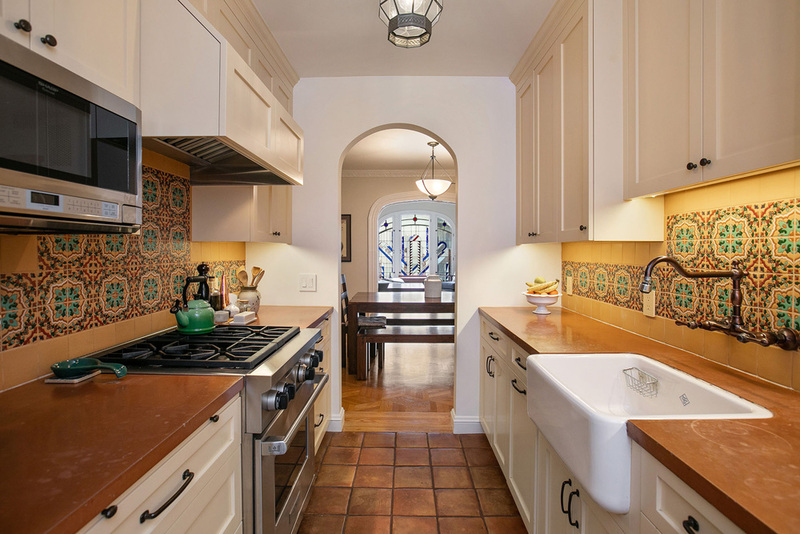 Aspiring top chefs will appreciate the Wolf gas range, built-in Sub-Zero refrigerator, and Miele dishwasher. 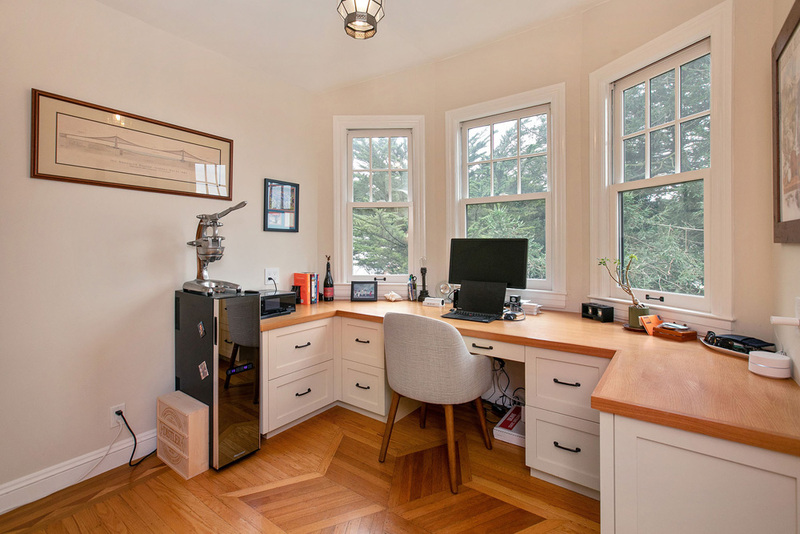 At the rear of the home, perched among towering flora outside its bay window, a fully-outfitted home office with extra-deep closet offers a flexible space that may be reimagined by the home’s next steward. 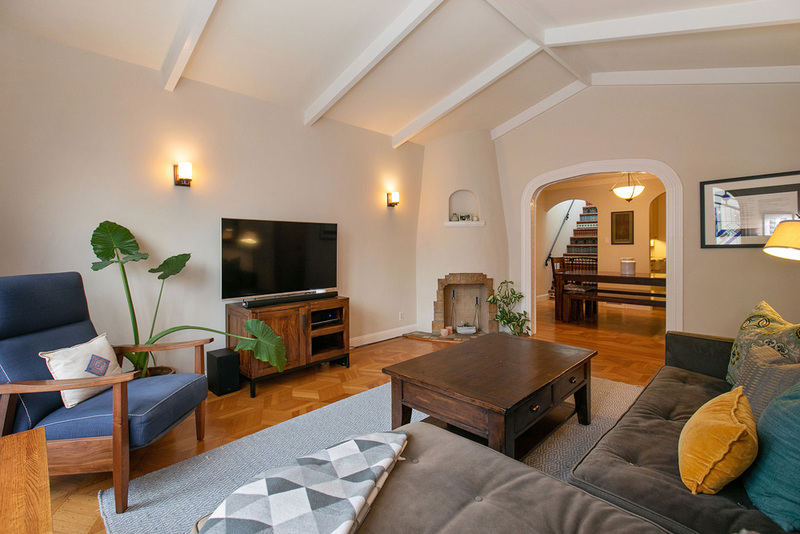 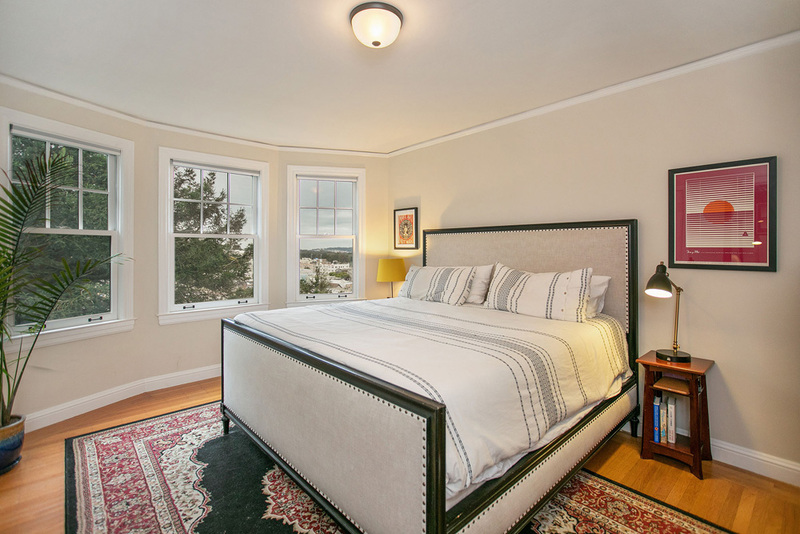 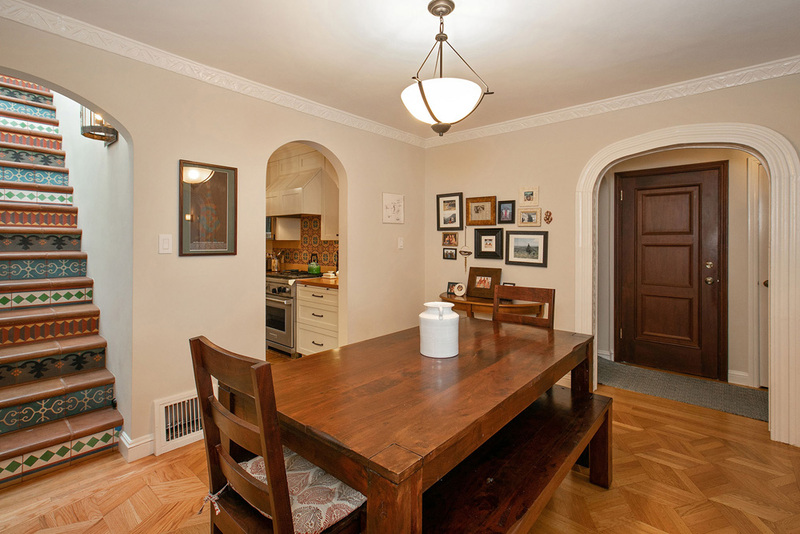 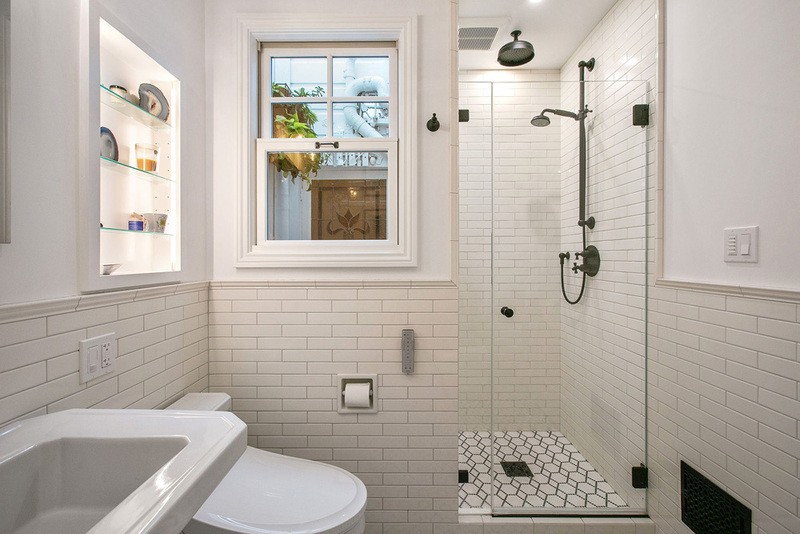 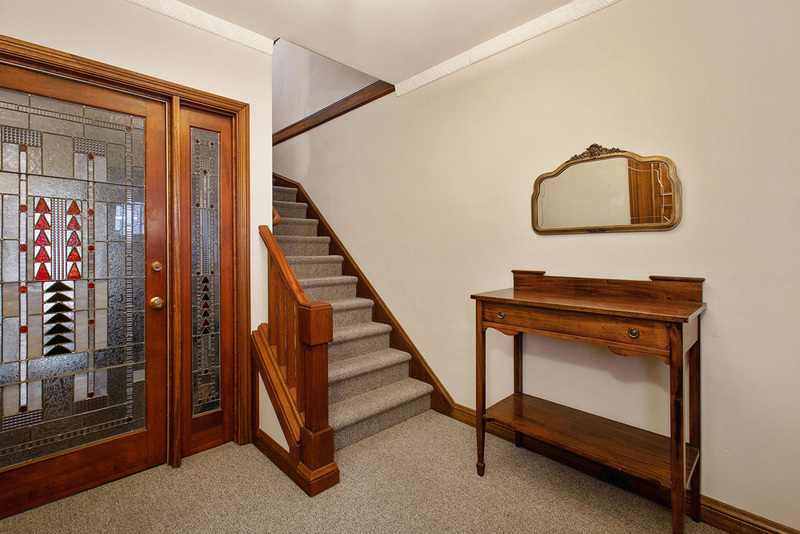 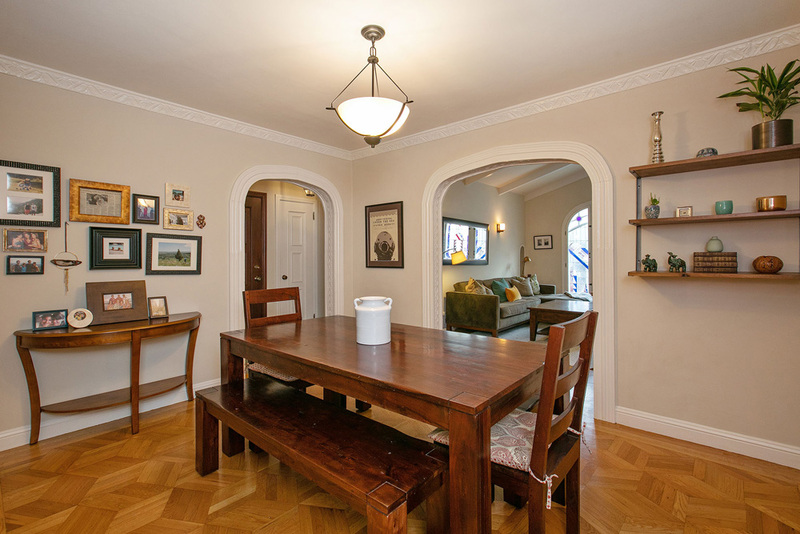 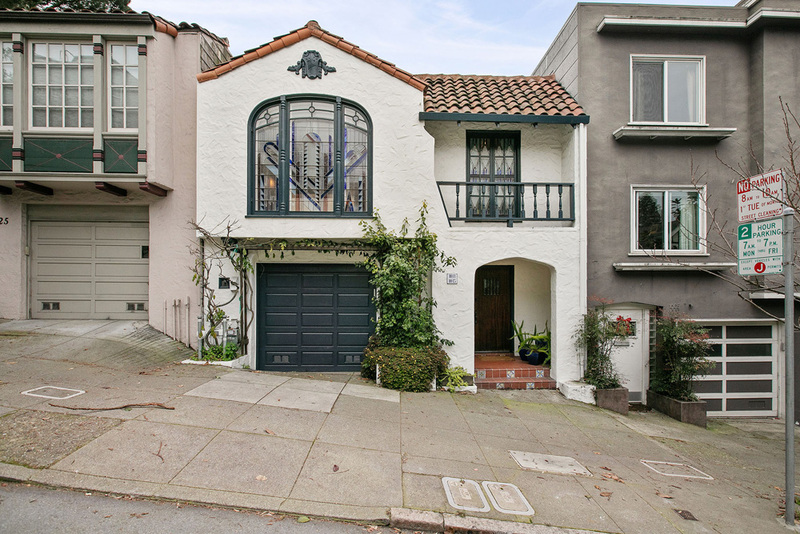 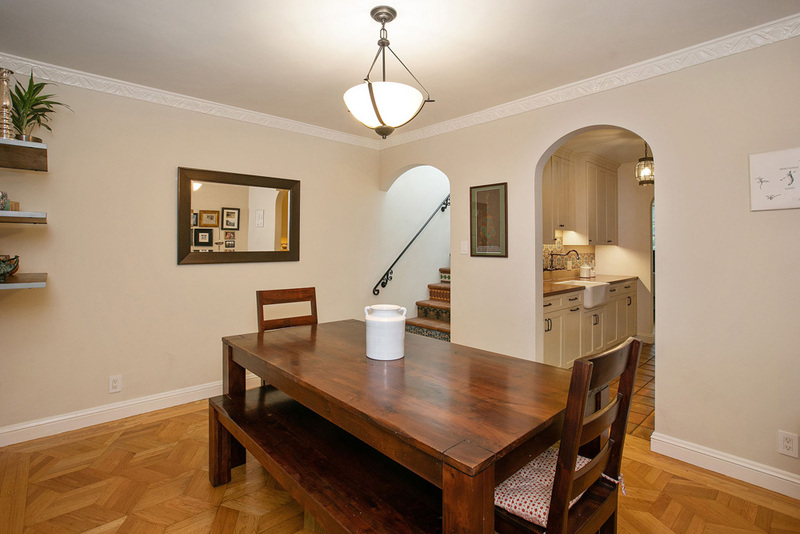 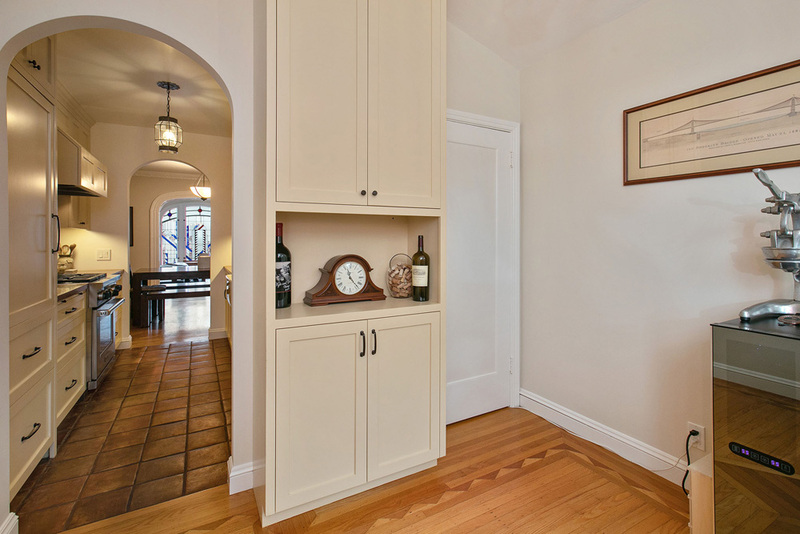 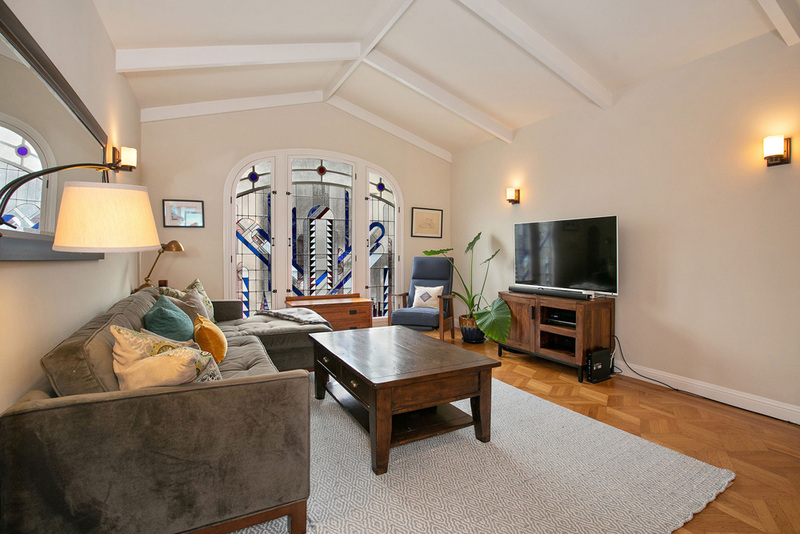 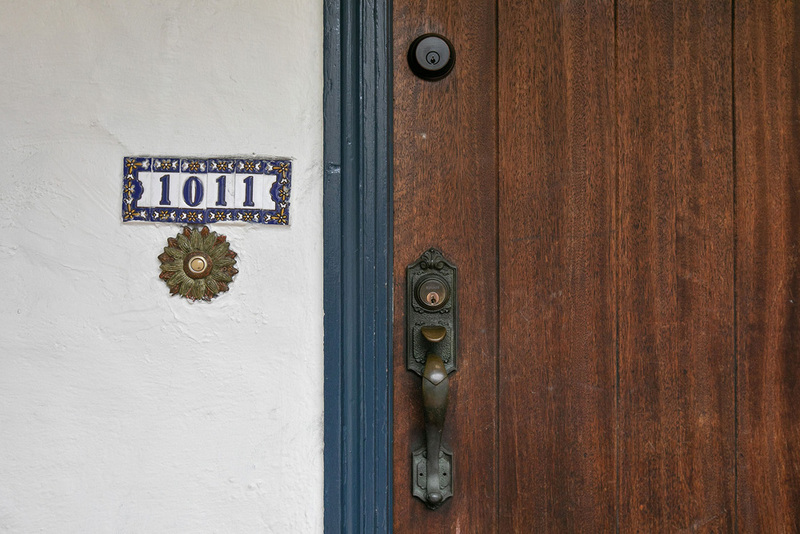 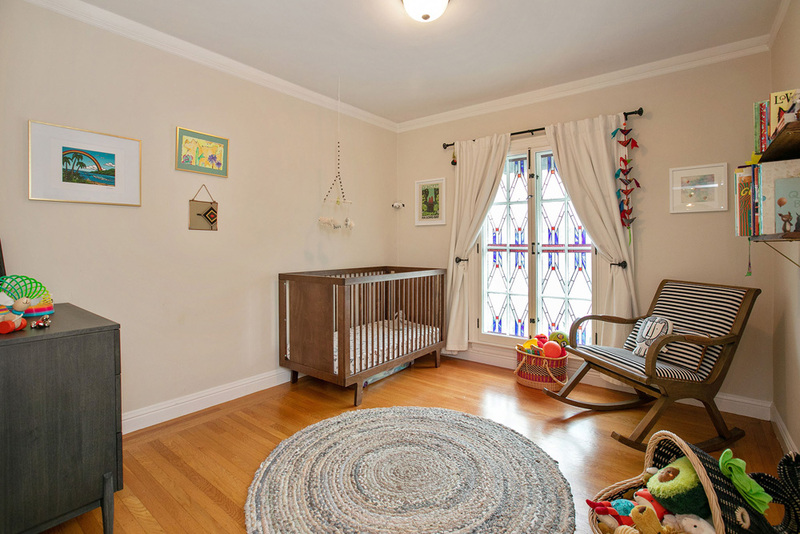 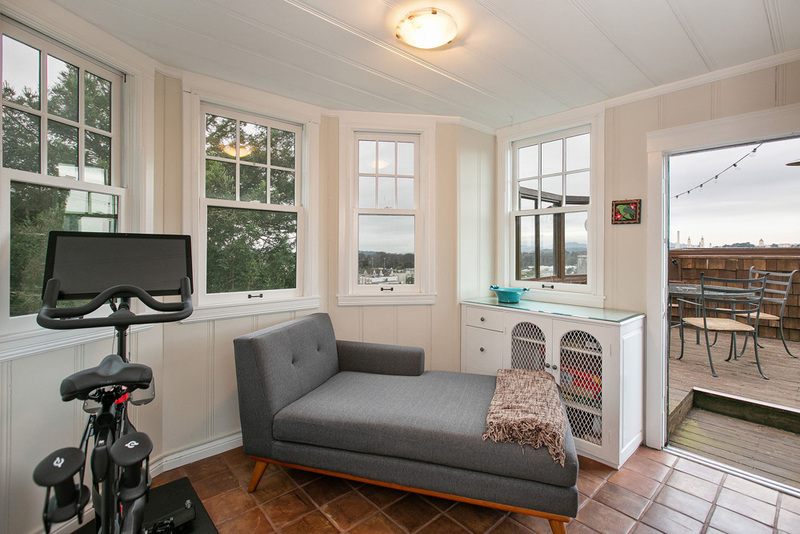 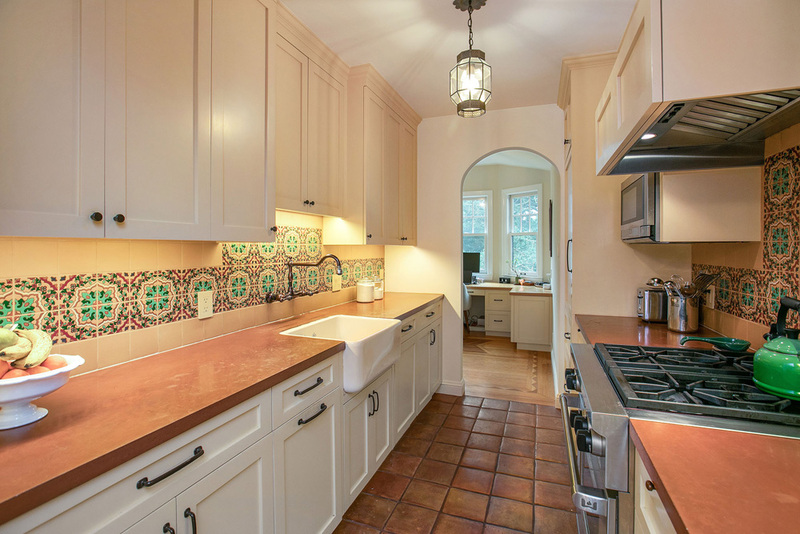 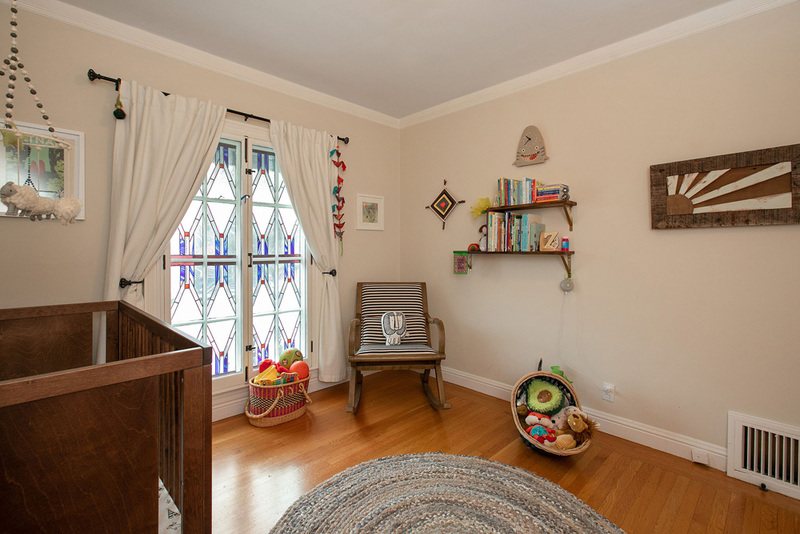 Adjacent to it, the well-proportioned master bedroom overlooks colorful Cole Valley. 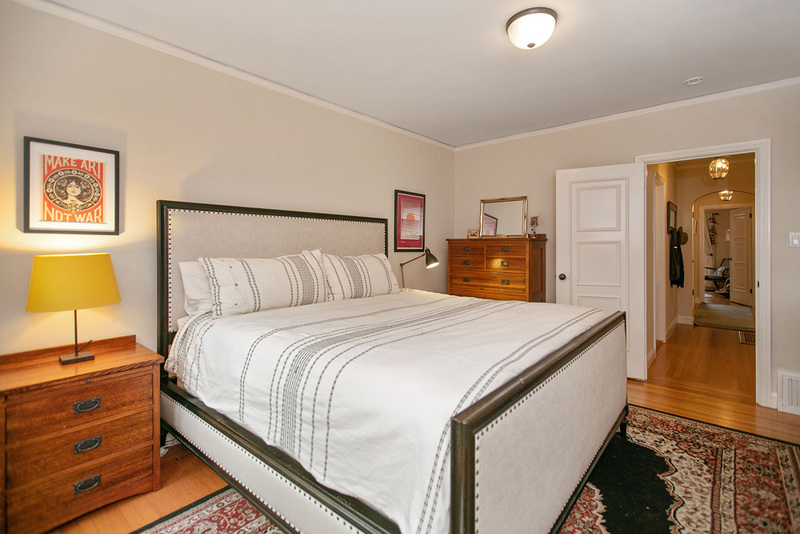 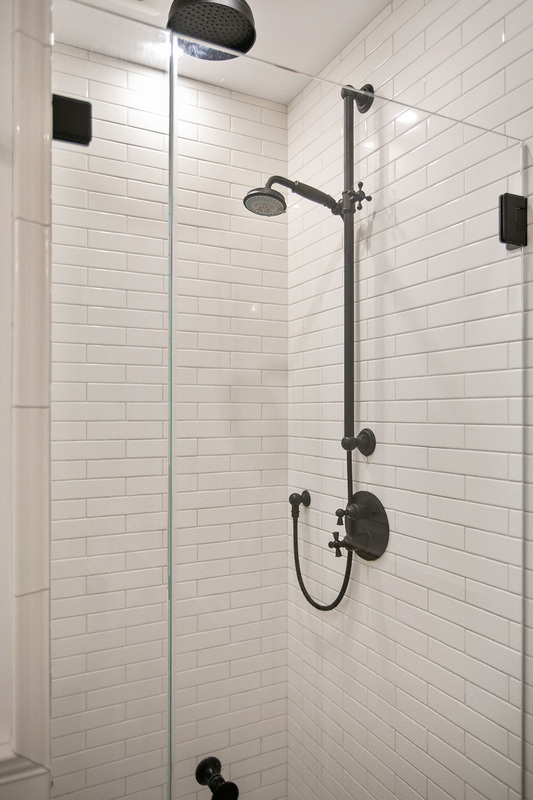 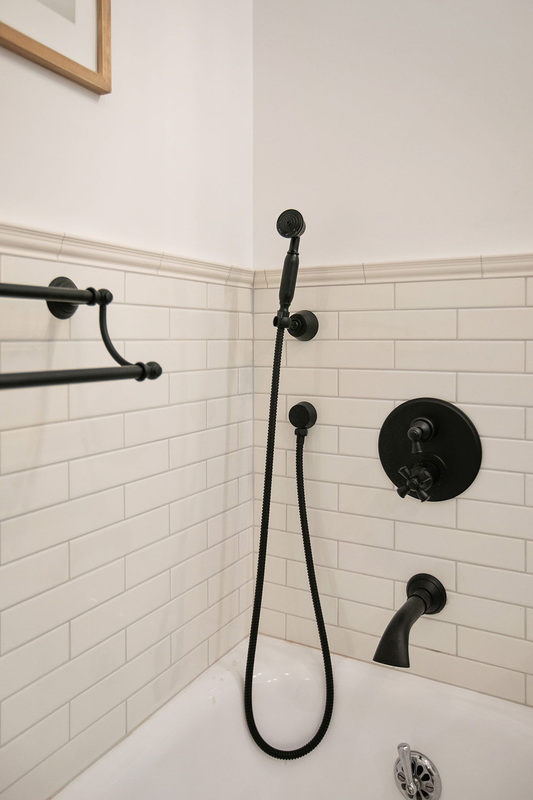 A second bedroom, recently renovated bath with tub and walk-in shower, and laundry closet with Miele washer and dryer complete the main floor. 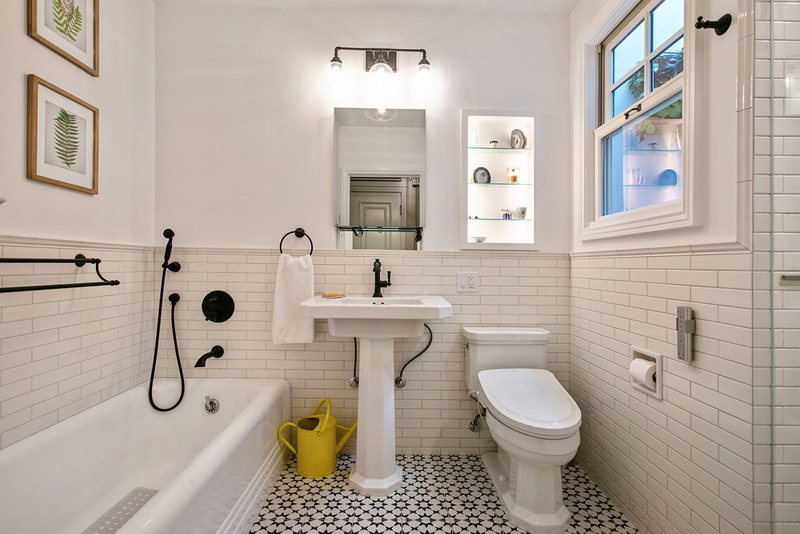 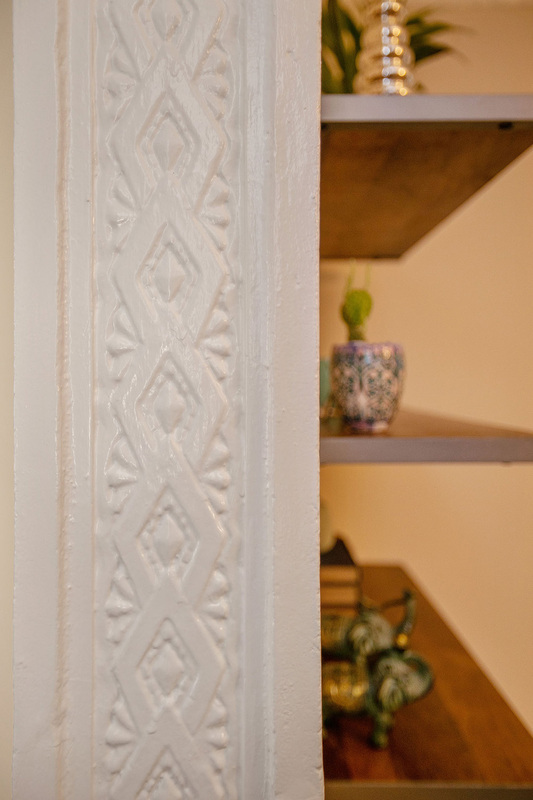 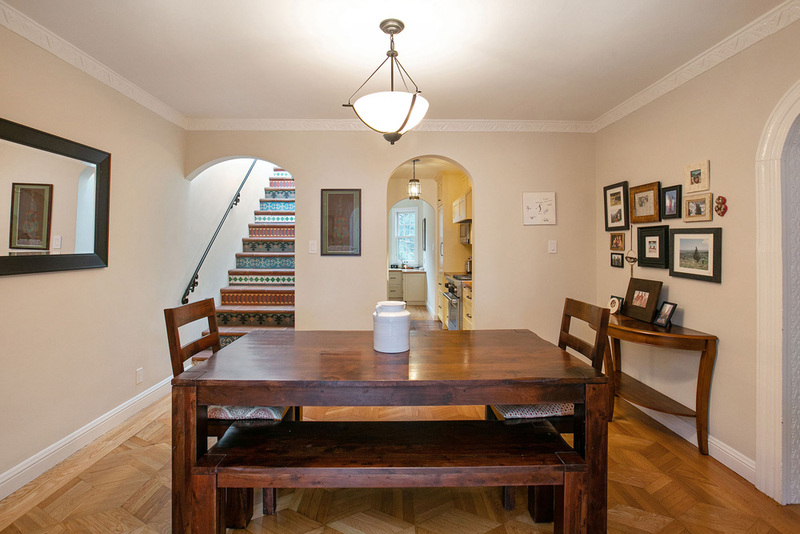 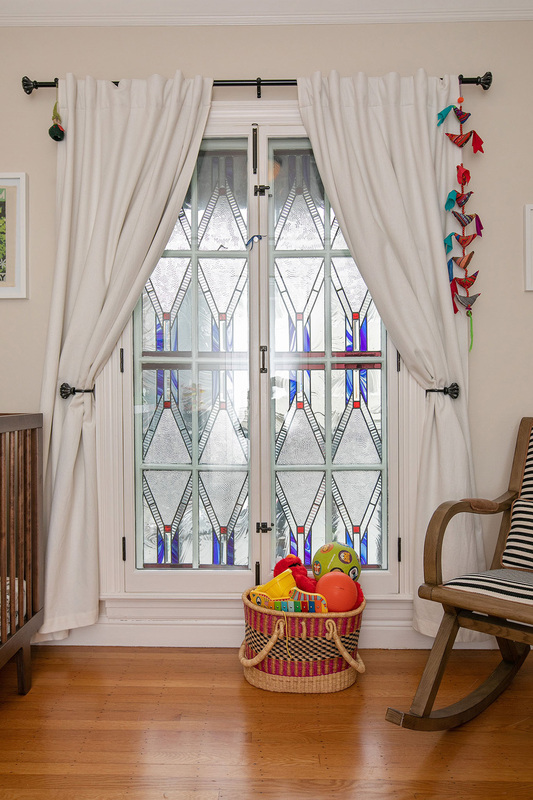 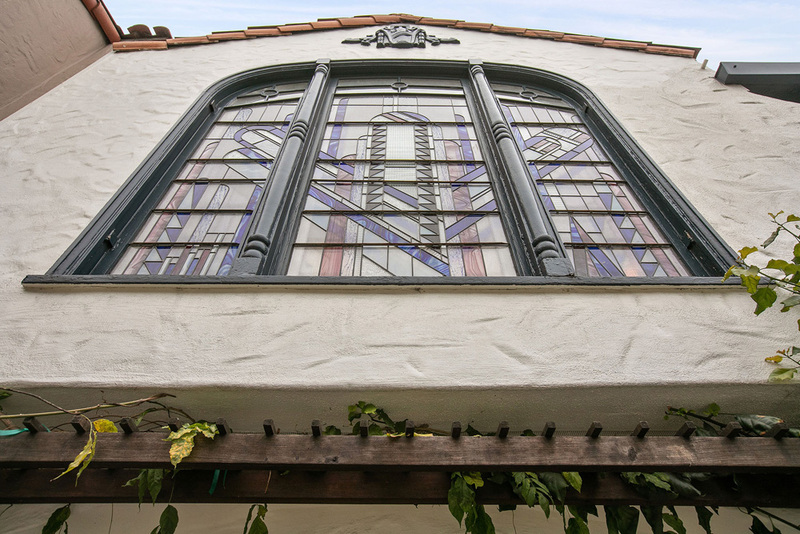 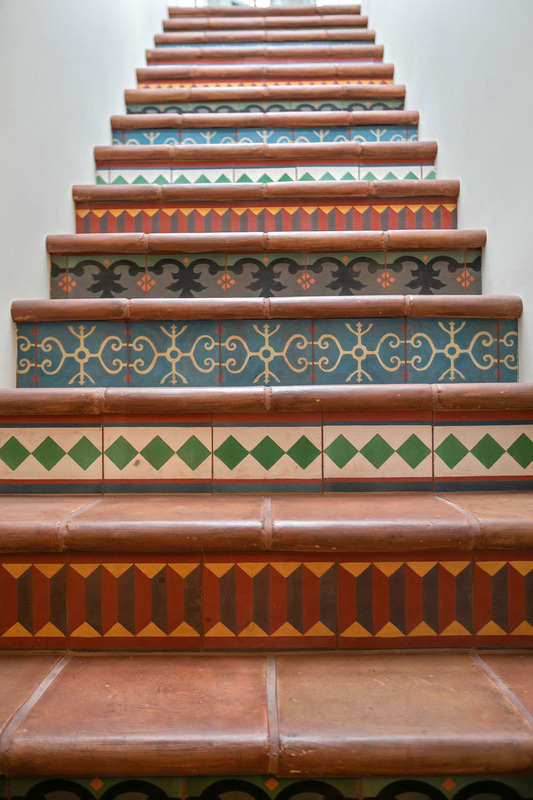 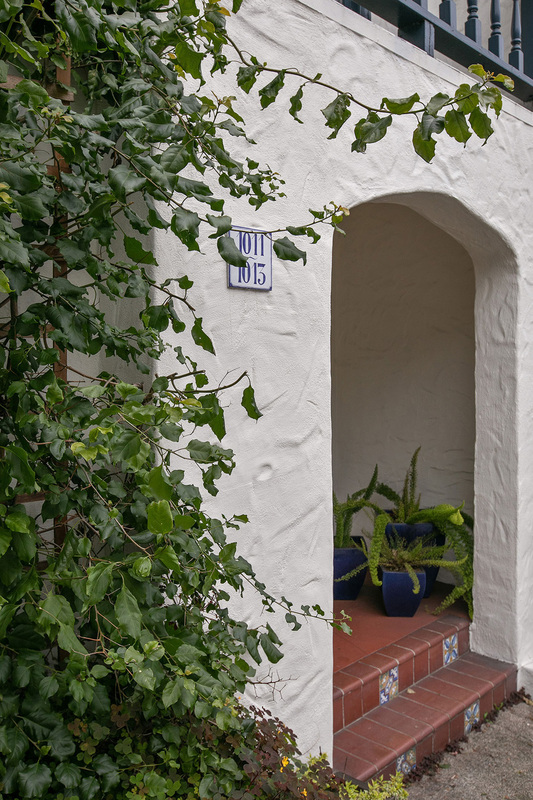 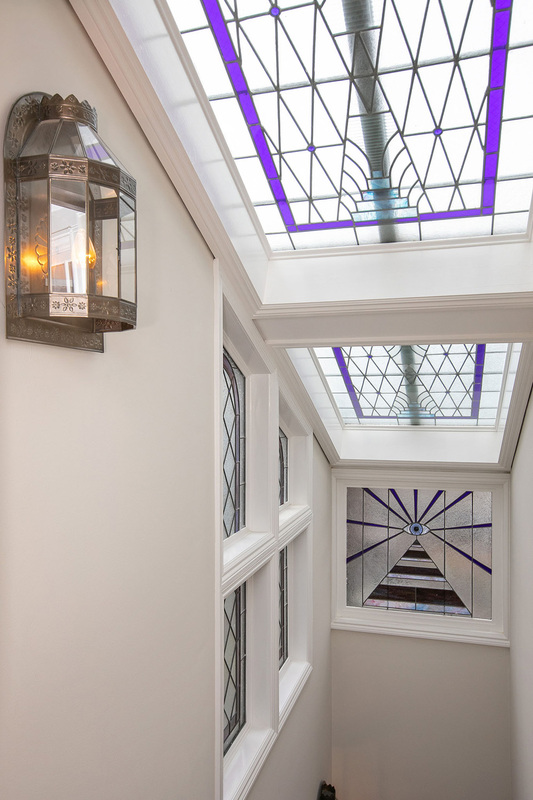 Ascending a staircase patterned with encaustic Barcelona tiles and sunlit by leaded windows, the pentroom features handmade Spanish tile flooring, three walls of windows, and ample space to accommodate any number of possible uses. 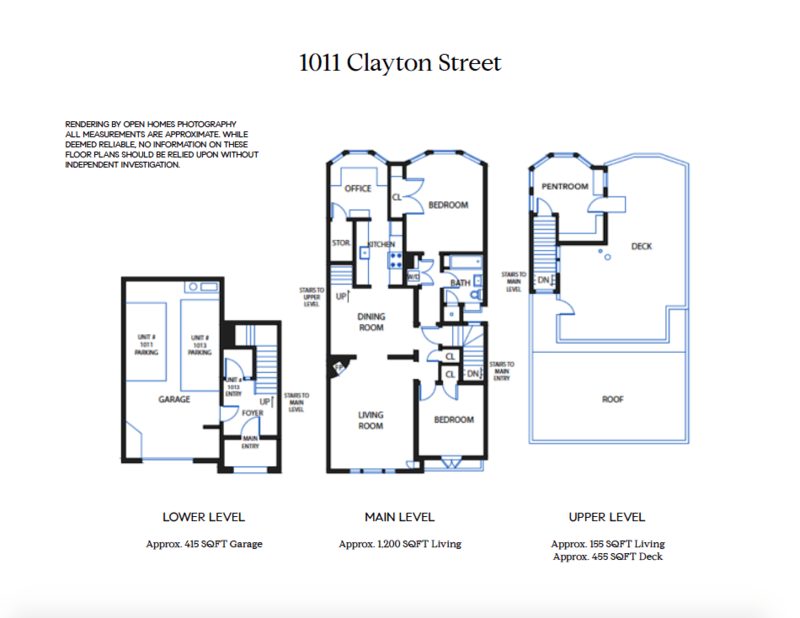 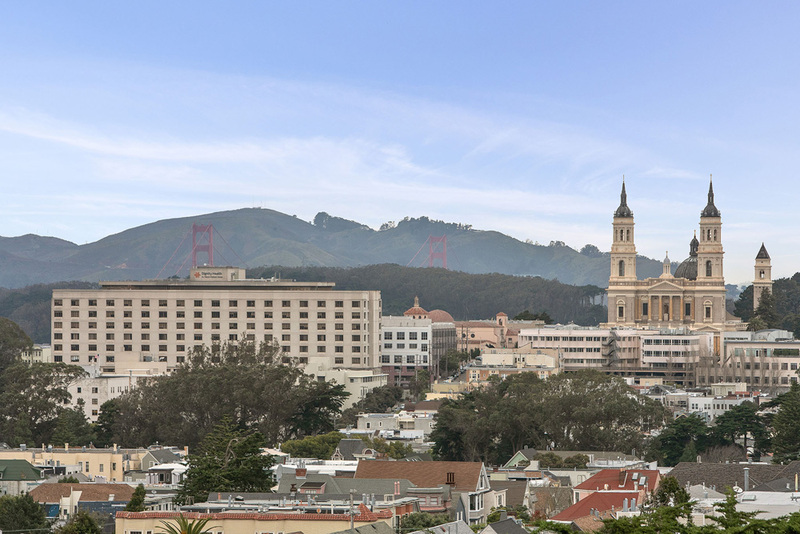 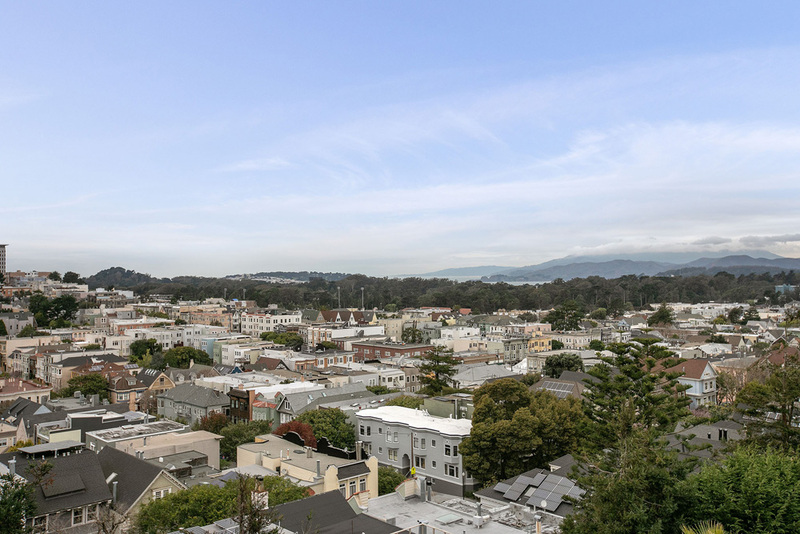 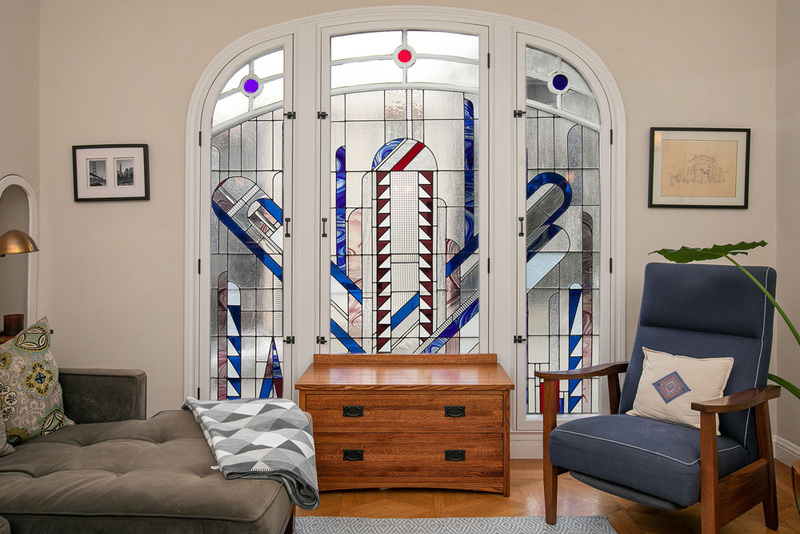 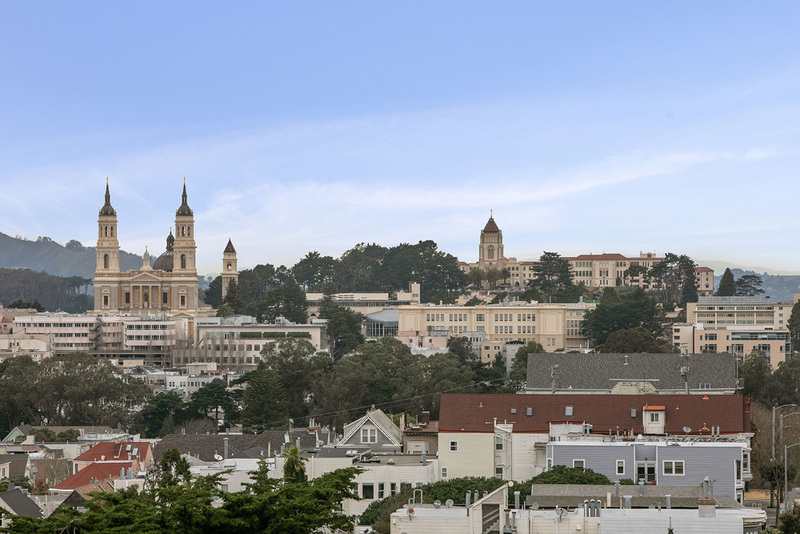 Additionally it provides access to the home’s private roof deck with stellar panoramic views punctuated by Sutro Tower, the Pacific Ocean, towers of the Golden Gate, St. Ignatius Church, Golden Gate Park and the Marin Headlands. 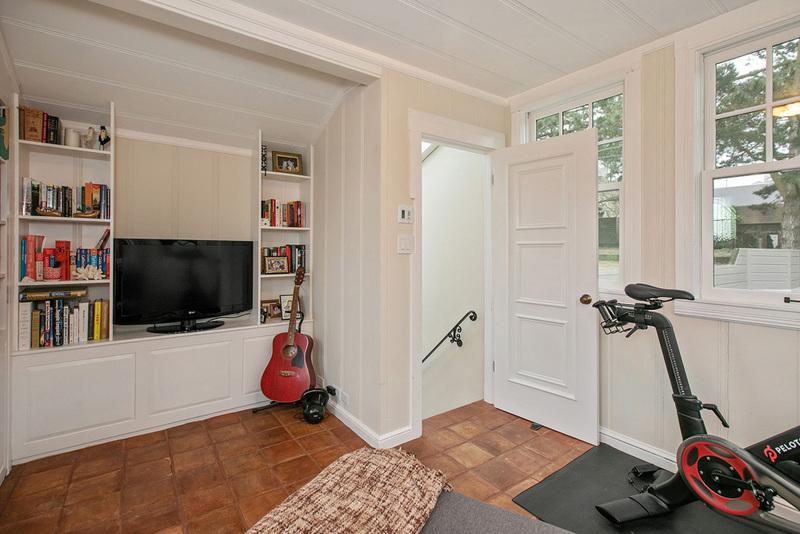 Garage parking for one compact car, includes additional storage.